Fennel (Foeniculum vulgare) is a plant of the Apiaceae family in the Foeniculum genus. What is particular about this genus is that it has less than a dozen species and is best known for Fennel, which is by some botanists treated as the only plant in this genus. Fennel is a hardy aromatic herb with yellow flowers and feathery leaves, typically found on Mediterranean shores, but can also be found elsewhere, especially on dry soils close to the water. 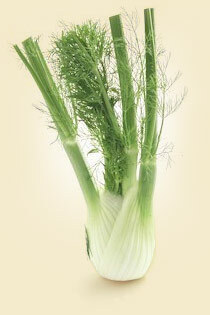 Florence fennel is a cultivated variation, which is smaller than the wild variant. Its leaves form a large bulb-shaped base. Florence fennel is also one of the three main herbs used for the preparation of the absinthe spirit, also called the Green Fairy. The leaves, the foliage, as well as the fruit (sometimes called "seeds") are all edible. The most potent, and most expensive form of fennel is its pollen. The leaves bulb can be cooked/prepared in any way or eaten raw. Fennel is first and foremost the ultimate natural remedy for flatulence. It reduces bloating and relaxes the intestines, it can also help with constipation and helps regulate gastric acid. It is a mild appetite surpressant and diuretic (it elevates the rate of urination and helps the body cleanse of toxins). Fennel has also used to boost the libido since the ancient Egyptians. Its second notable strength is with various eye conditions. Fennel helps mothers and babies. The already mentioned flatulence is a very common problem for most babies, and fennel tea helps safely. It is also used to treat colic and as a remedy for teething. For lactating mothers, it is said to help with breast milk production. Fleas don't like fennel! Fennel is therefore an effective natural way to repel them, either in powedered form or other variations. It can also be used to protect animals, like dogs or cats, from fleas. 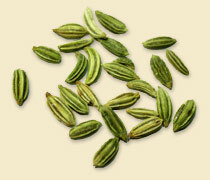 In India, fennel seeds (fruit) are eaten raw and are said to improve eyesight! The ancient Romans used it in a similar way, to improve eye sight or clear the eyes with fennel tonic. Fennel is generally considered a safe herb. There is some indication that suggests that fennel extract or oil should not be used by pregnant women.